I have reconsidered the way in which I will organize the rest of my study. I think it will be more practical to analyze all of the skyscrapers that I plan to review in groups that share something particular in common. The common theme in this group is that it is composed by high-rises that fulfill all of the minimal requirements of a good, decent project built before WWII and before modernism gained followers in the Americas. All of the buildings I am about to name can be considered out of the candidates for the perfect Chicago skyscraper. The “Mart” suffered from the moment it was conceived as an idea. The building needed to be an urban vertical market for quality goods, a function that has changed little since its construction. Given its purpose, designers struggled to find a unique solution to a rather unique challenge. Instead of relating the massive building to its program, the architects decided to remain within the all-too-common art deco high-rise approach of grandiose, robust and repetitive architecture. The building’s scale is too great, too plain and it extends too far in one direction while not in others. There’s hardly any communication with the passerby as anyone walking by it would fail to grasp the entirety of its huge mass. Despite having many admirers, this famous tower offered nothing new when it was completed. 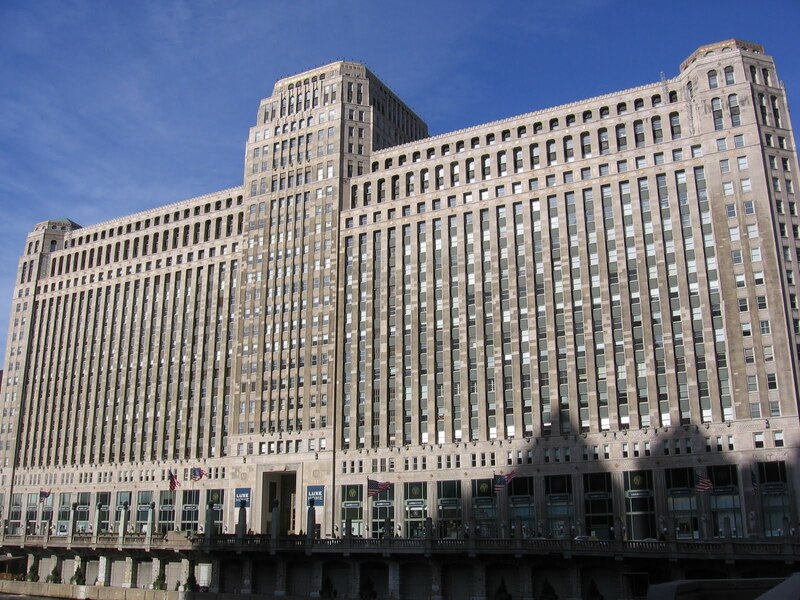 It is clearly disproportional and its ornamentation does not enrich the architecture but instead it reveals the all-too-simple approach the architects took towards the new Chicago building code of the time. The building’s area was as big as it could have been up to the point where it was forced by code to step back and give way to a tacky upper-half full of allegorical references that are somewhere in between ancient ziggurats and suburban gazebos. There is nothing truly significant to criticize to this building besides the immense footprint that it covers and that extends uninterrupted 45 stories up. 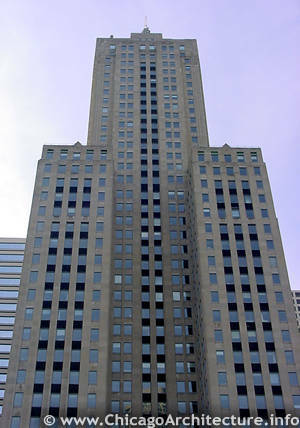 However, one of the biggest projects in Chicago history came to replace a true icon, the Home Insurance Building, which is widely considered to be the first modern skyscraper designed by William LeBaron Jenney. To add insult to injury the building did not offer anything new or particularly exciting to the city, much unlike its groundbreaking predecessor. 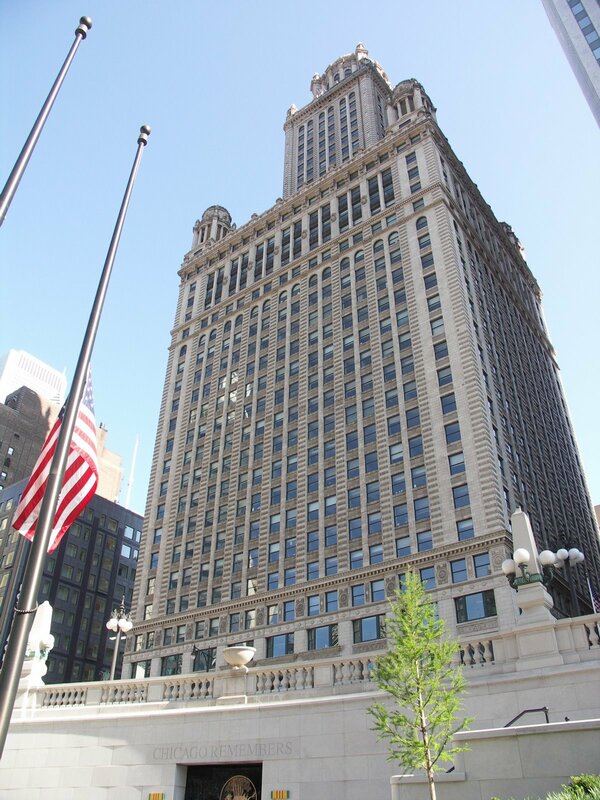 The existing headquarters for Chicago’s quintessential company is a fine building without any major faults. However, it is perhaps the biggest missed opportunity, a great example of the common reluctance of the profession to reinvent itself. 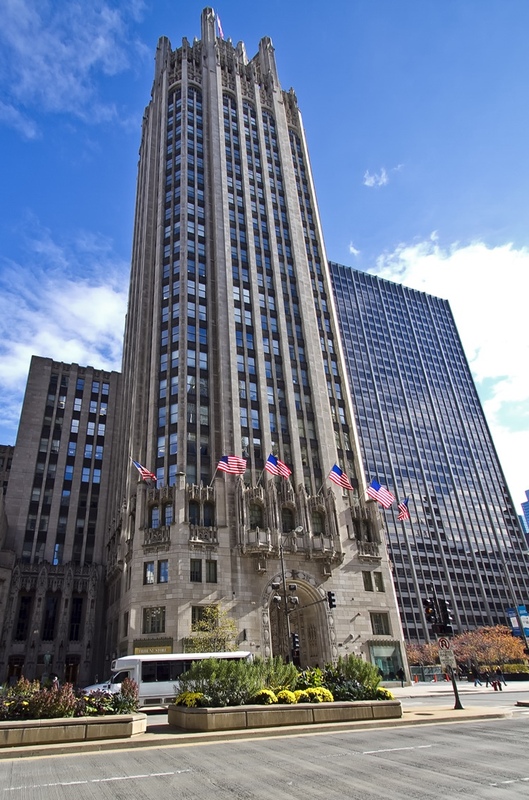 It all started when the company decided to relocate and use a new architecture symbol as a promotion mechanism that would attract interest to Chicago and to the company. An international competition was held and what ensued was one of the most significant displays of architecture of the first half of the 20th century. The competition managed to receive over 200 entries, with the winner receiving a grand prize of 100 thousand dollars. Sadly, the selected proposal was that by architects Raymond Hood and John Mead who carefully designed a neo-gothic high-rise of stone and ornamentation. They were preferred over the critically acclaimed proposal by Eliel Saarinen, whose simple design precluded the advent of modernism in the US, influencing architecture for years to come. As it often happens though, some of the most innovative architecture remains on paper to never be brought to realization. 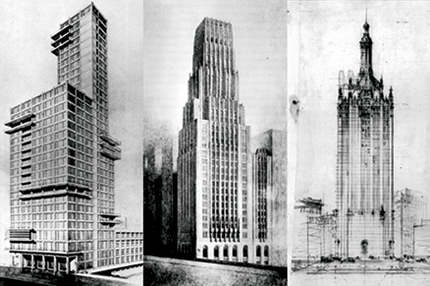 This was only a small sample of the most significant buildings that failed, in the early 20th century, to positively contribute to high-rise architecture in Chicago. In the next part I will touch upon a group of skyscrapers that I will call “The Old greats”, many of which might end up in the running for the perfect Chicago skyscraper.